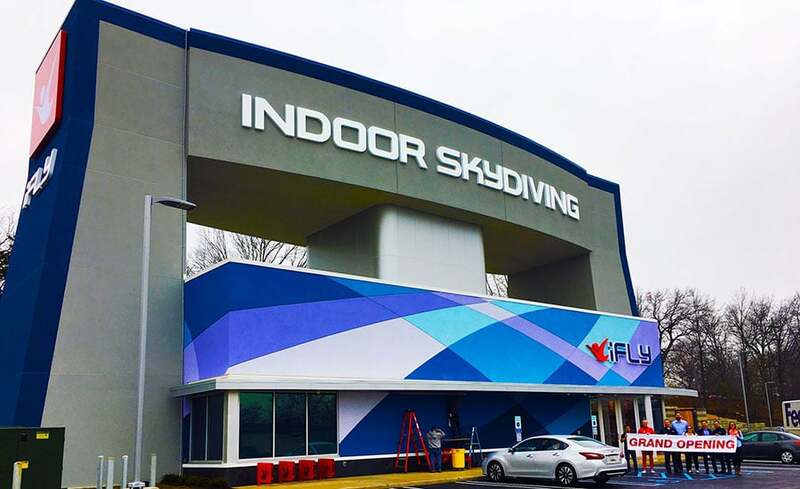 This New Jersey indoor skydiving location joins nearby iFLY Westchester to serve the eastern United States. This location in Paramus, NJ is a SkyVenture 'Medium' model 14 foot diameter wind tunnel. Participants can enjoy the thrilling experience of flying their body on a cushion of air in this ground-level design. The open interior is welcoming for spectators as well. Average rating of 3.5 from 6 review(s). Just waiting for closing date !!! I went online to book a flight for my 13 year old for the first time. I was required to book 2 flights. So, I called to see if I could just book 1 flight. I asked the woman was there a reason I had to book 2 & rudely she says because that’s what we require in our policy. Gratefully, I can afford the $200 for 2 minutes of flight time, however, when I call and ask a question, I expect to get an answer that makes sense for what I’m asking. Not some BS because you really dont have an answer. & you don’t like that I questioned what I would be paying for. I’m spending my money, I should be able to ask questions without getting nasty, snobby responses. I’d rather spend more money with better customer service than to deal with people who don’t know how to speak professionally to a potential customer over the telephone. I took my daughter here in paramus NJ, it was cool. I have flew at the one in King of Prussia in PA and its awesome! I am not sure if the dont use enough wind speed in NJ but everyone didnt seem to float individually, everyone ended up lower to the ground. One lady hit the floor and they had to grab her. They use two guys instead of just one instructor for the flight and high flight, not sure why. In PA it is one instructor for eveything. My husband and I were floating mid level and flew individually they measured the weight of each of us perfectly. In Nj I just didnt get why every one was flying so low, I dont think they determined correctly on how much wind pressure of everyone was almost on the ground flying. That was my only issue there in NJ. Try out the one in PA its great! My fiancé and I went to the i fly today in Paramus, NJ! It was such an incredible experience! We both had a great time, such an adventure! Our instructor Devin made us feel comfortable and safe all while having the time of our lives! Thank you for such an experience! Definitely would do again! Best gift ever ! Memories are made with adventure.